Why See San Francisco Symphony - Fabio Luisi Conducts Rimsky-Korsakov's Scheherazade? The San Francisco Symphony is joined by Fabio Luisi for this program of escapism toplined by Rimsky-Korsakov's exhilarating 'narrative in sound', the ravishing Scheherazade. Based on the stories in Arabian Nights, Rimsky-Korsakov takes us to soaring heights as the magic of these age-old fairytales unfolds in a blaze of love, adventure and more! The concert will warm up with Glinka's overture from Ruslan and Ludmila, the opera based on an Alexander Pushkin poem taken from Russian folk tales, before Mario Brunello takes to the stage for Tchaikovy's Rococo Variations. Though not steeped in the magic of the other two pieces, it represents its own kind of reverie as it evokes a by gone era, inspired by the alluring work of Mozart. Sound good to you? 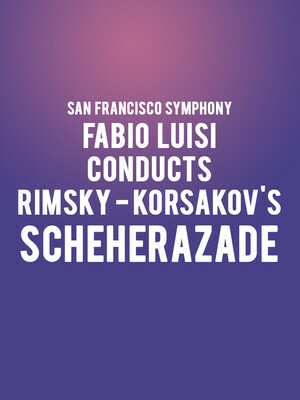 Share this page on social media and let your friends know about San Francisco Symphony - Fabio Luisi Conducts Rimsky-Korsakov's Scheherazade at Davies Symphony Hall. Please note: The term Davies Symphony Hall and/or San Francisco Symphony - Fabio Luisi Conducts Rimsky-Korsakov's Scheherazade as well as all associated graphics, logos, and/or other trademarks, tradenames or copyrights are the property of the Davies Symphony Hall and/or San Francisco Symphony - Fabio Luisi Conducts Rimsky-Korsakov's Scheherazade and are used herein for factual descriptive purposes only. 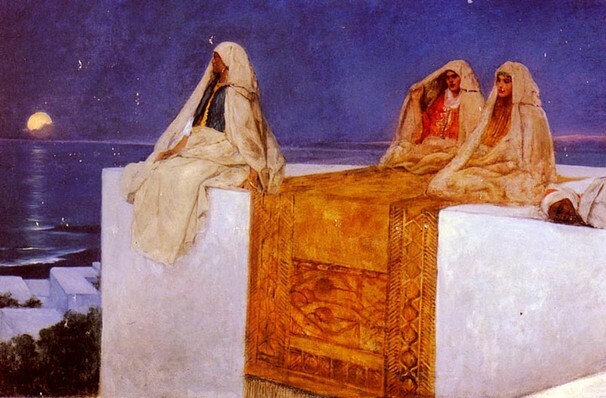 We are in no way associated with or authorized by the Davies Symphony Hall and/or San Francisco Symphony - Fabio Luisi Conducts Rimsky-Korsakov's Scheherazade and neither that entity nor any of its affiliates have licensed or endorsed us to sell tickets, goods and or services in conjunction with their events.